PMI has introduced a new PMBOK V6 that will be in play from 3/26/2018. It has a new Agile Practice Guide as well. There is no mention that PMI-ACP exam will be based on the new Agile Practice Guide but it is better for all the participants to buy the new version, who plan to take the PMI-ACP exam after 3/26/2018. PMI website mentions that they are back ordered for the books so if ordered in next couple days, the order will be shipped by 2/28, so the student may not receive their copy by the time they show up to the class. It's perfectly fine not to have the book at the time of the class, but may be necessary when you take PMI-ACP exam. Are you looking for your next Agile Opportunity, a successful path to Agile transformation of your existing organization or need to climb up the corporate ladder with Agility? Then, here’s your chance to enroll for this course and take the next step. This course is full of group activities that provide hands on exercises on Agile concepts start to finish. There are NO prerequisites to take this boot camp. This course will give you all the information required on Agile concepts that will groom you to face the challenges of the Waterfall world and provide you with requisite solutions. Demonstrate to employers their level of professionalism in agile principles, practices, tools and techniques. Increase their professional versatility in project management tools and techniques. Hold a certification that is more credible than existing offerings based only on exams or training. To be eligible for the PMI® Agile certification exam, you must meet the PMI eligibility requirements. The fundamental objective of the course is to prepare students for the PMI Agile Certification Examination. Training in agile: 21 contact hours; hours must be earned in agile topics. This prep course provides you with all the required hours. Anup has been teaching the PMI-ACP® for last several years and all the students who appeared for the exam are certified. His classes at PMI San Francisco chapter as well as PMI Monterey Bay chapter have been greatly successful. He is also associated with UC Berkeley Extension for their Agile Management offerings. He is a Process Consultant for Scaled Agile Framework for the enterprise (SAFe SPC), an Agile Certified Practitioner (PMI-ACP®), a Certified Scrum Professional (CSP), a Certified Scrum Master (CSM) and a Project Management Professional (PMP®), an Innovation Games® Certified Collaboration Architect (CCA), and holds a Bachelor of Engineering and a PG Diploma in Business Management. Anup currently manages a huge portfolio to the tune of $150 million at a Fortune 200 company in the Fintech domain. He has been instrumental on Agile Transformations at the enterprise level and has over 23 years of worldwide program and project management experience in the Software Development Industry. 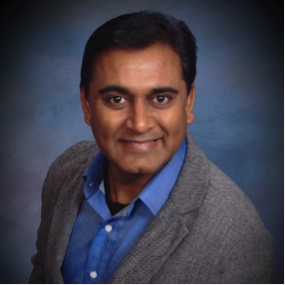 He has served as Chapter President for PMI® Silicon Valley Chapter in 2012 and currently serves at the Board as a Chief Governance Officer for the PMI San Francisco Bay Area Chapter. Continental Breakfast, Coffee, and Lunch will be provided. Attendees should indicate whether they want a vegetarian meal during the registration. This event is a professional society meeting, held for the benefit of its members.